This image shows a three-colour composite of the N 70 nebula. 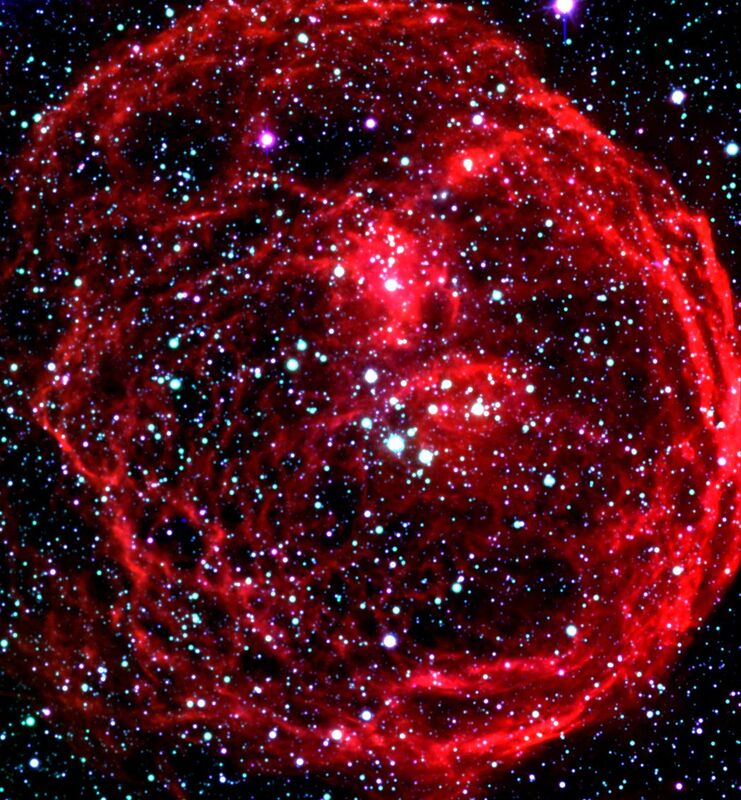 It is a "Super Bubble" in the Large Magellanic Cloud (LMC), a satellite galaxy to the Milky Way system, located in the southern sky at a distance of about 160,000 light-years. 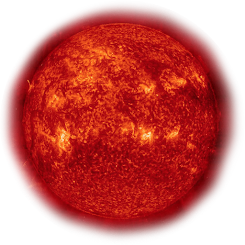 This photo is based on CCD frames obtained with the FORS2 instrument in imaging mode in the morning of November 5, 1999. N 70 is a luminous bubble of interstellar gas, measuring about 300 light-years in diameter. It was created by winds from hot, massive stars and supernova explosions and the interior is filled with tenuous, hot expanding gas. An object like N70 provides astronomers with an excellent opportunity to explore the connection between the life-cycles of stars and the evolution of galaxies. Very massive stars profoundly affect their environment. They stir and mix the interstellar clouds of gas and dust, and they leave their mark in the compositions and locations of future generations of stars and star systems.